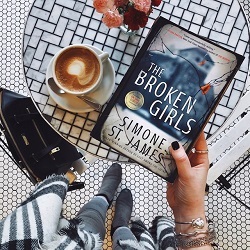 Of the many books I’ve read so far in 2018, it’s hard to think of one that could beat THE BROKEN GIRLS by Simone St. James in sheer entertainment value. Many books are referred to as “page-turners”; few actually succeed at pulling me in and keeping me glued to every single page. THE BROKEN GIRLS falls into the category of books that really did live up to their “page-turner” classification. Told in alternate timelines, this chilling and unputdownable novel of psychological - and otherworldly - suspense delivered an imaginative and gripping mystery with a ghostly twist. Readers who love crime novels set in boarding schools will find THE BROKEN GIRLS’ backdrop engaging; readers who look for psychological thrillers with a supernatural twist will find the book’s central mystery more than satisfying; readers who don’t typically prefer either might just surprise themselves with how much they love Simone St. James’ shiver-inducing story of long-buried secrets in rural Vermont. THE BROKEN GIRLS will make a fantastic choice for escapist reading this March—just don’t read it right before bed. I should preface this whole review by confessing something that might put a few of your minds at ease: I don’t usually like crime novels with supernatural elements, but I loved this book. If you're a reader who is skeptical of supernatural components to thrillers, you may never think that this book is up your alley, and that’s perfectly okay—but give me just a few sentences to try to convince you otherwise. When I first picked up my copy of this book, I actually almost set it aside because of the story’s supernatural element, but I’m so glad I didn’t. Simone St. James has done a superb job weaving together a mystery that incorporates, but doesn’t rely on, an otherworldly plotline. What bothers me as a crime reader is when a thriller uses a supernatural twist to explain away the story’s central mystery; that is not at all the case here. THE BROKEN GIRLS is a strong suspense novel with or without its supernatural element—the story’s ghost simply adds a little touch of imagination and chills to a mystery that is otherwise fully grounded in reality. What surprised me most of all: the ghost story in this book actually became my favorite part of it. In fact, I was so fixated on the story’s ghost that I actually had a dream about her.... Which was terrifying, but that’s another story. If you’re wholly opposed to crime novels that incorporate supernatural touches, that’s perfectly understandable—but if you’re on the fence, give THE BROKEN GIRLS a try. I’m betting it will surprise you in the same way it surprised me. Beyond the (potentially divisive) supernatural element of this story, there is just so much to love about Simone St. James’ chilling, gripping suspense novel. THE BROKEN GIRLS is a story inextricably tied to its locale, and the author has done a superb job fleshing out the boarding school at its heart, both in the past and present day. In the present, journalist Fiona is reporting on the renovation of the long-abandoned boarding school Idlewild Hall. In pursuit of her story, Fiona ingratiates herself to the crew doing the renovations, and takes a particularly chilling tour of the ruins of the school that was so vividly told, I could practically picture her exploring the run-down halls of Idlewild. In the past, readers meet four girls attending the school. We walk the halls with them, learn their dark and tragic backstories, and feel their fear when things in Idlewild go bump in the night. 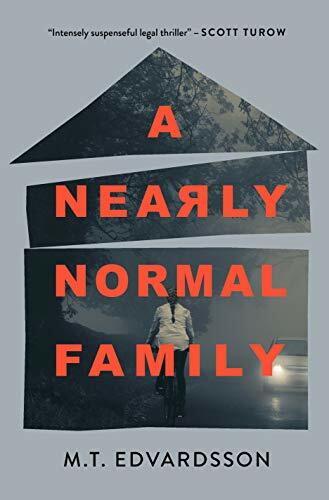 St. James has nailed the atmosphere of this book: its rural Vermont setting combined with the mysteries of the story’s boarding school deliver a potent brand of claustrophobia that I couldn’t get enough of. If you love boarding school mysteries or are fascinated by the intricacies of small-town life, THE BROKEN GIRLS will be a natural fit for you. It’s worth mentioning just how outstanding this book’s “flashback” chapters are. Interspersed throughout the main narrative are chapters that introduce the reader to the four Idlewild students who become central to the story’s mystery. These chapters take turns focusing on alternating individuals in this group of young women, and quickly became my favorite part of the book. Readers will soon discover that each of these young women carries her own burdens and traumas, and has a unique and richly-developed personality and backstory. St. James does an excellent job fleshing out this group—readers will love the vivid characterization evident in these flashback chapters, and will find themselves even more invested in the fate of these girls thanks to the energy St. James puts into their development. You won’t be able to help but root for them to find a better future ahead, outside of the halls of Idlewild. But, this being a crime novel, we also know they will face their fair (or unfair) share of challenges. These four girls quickly find themselves on the receiving end of some disturbing and inexplicable happenings at the school—and when one of their own disappears and is presumed dead, the remaining three concoct a plan to get out of Idlewild before they meet a similar fate. The twists and turns along the way to discovering what really happened to their missing friend will thrill readers. Despite genuinely loving this book, I do need to mention that there is a thread of it that I found unnecessary. It’s difficult to explain this thread without ruining one of the story’s essential surprises for readers, so I will be very vague here—but one of the ultimate explanations for one of the mysteries central to this book felt, to me, a bit out of left field and overdone, tying in a historical element to a story that would have been stronger without it. If you are a reader who is unwilling to suspend belief when reading a crime novel, this might not be the right pick for you—from its supernatural element to its slightly far-fetched finale. That being said, while I did question why this element of the story was necessary, it didn’t even come close to ruining the book for me. Did I question it? Yes. Could the book have been tied together in a stronger, more realistic way? Most likely. Would I still recommend this book? Definitely - especially to readers who just want to be swept up in an escapist - and chilling - story of suspense.